Taking a road trip along the East Coast of the United States forces you to make a decision: travel the coast or travel the mountains. If you have the time, you can do both. Zigzag from the coast, inland and back to the beach, or travel south next to the ocean and make your return trip through the countryside. The Historic National Road starts in Baltimore and heads toward the West. It was built to help pioneers move westward and is now an historic footprint. The Tomlinson Inn in Little Meadows was built around 1816 and was once a stopover for lengthy travelers, including famous politicians. New Market is a center for antiques, and Ellicott City has the oldest railroad station in the United States. 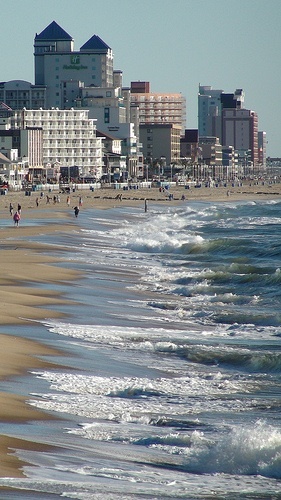 Travelers seeking sun and surf can take the coastal route to Ocean City. Its three-mile beach side boardwalk takes you past shops, arcades, and restaurants, where you can eat the famous “boardwalk fries” or crab cakes. Just nine miles outside of Ocean City is the more remote Assateague Island, where salt marshes and maritime forests collide and wild horses run along the beach. Continue your trip over the Chesapeake Bay Bridge and Tunnel. You’ll feel like you’re driving in the middle of the ocean before the bridge suddenly disappears and you drive down into a tunnel under the bay. You’ll end up in Norfolk, Virginia, where you can walk along the harbor, take a boat ride through the botanical gardens, or tour the Battleship Wisconsin. If you travel west, you’ll eventually hit the Blue Ridge Parkway, a winding road high in the mountains that connects Shenandoah State Park in Virginia with the Great Smoky Mountains National Park in North Carolina. Depending on the time of year, you may see the bright golds and reds of fall foliage or the deep greens of summer leaves. At times, you’ll be driving through clouds that appear and disappear over the roadway. Panoramic lookouts dot the parkway, and many signs along the way let you know the elevation. The highest point on the parkway is more than 6000 feet above sea level and is often closed in the winter due to inclement weather and difficult passage. 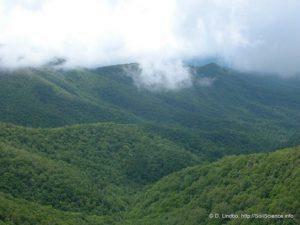 Along the parkway, you can stop off at farms, waterfalls, caverns, and historic areas. When you reach North Carolina, you can head back toward the ocean. Due east from Asheville are the Outer Banks, and their quaint lighthouses, wide beaches, and strong breezes will keep you busy. As you wind your way down the coast, you can stop in at other beach towns, like New Bern and Wilmington. 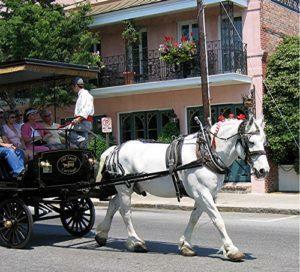 conventional southern charm; the beaches are pristine, and the city is accessible and historic. Surround yourself in history at Fort Sumter, or one of the many plantations that offer tours. Museums and historic buildings offer a window into the revolutionary era of our early United States. The East Coast is historic and quaint. Travelling along the coast brings summer sun-seekers to wide beaches of white sand and rolling dunes. Fall foliage-lovers can travel closer to the mountains and undulating hills. Either way, the East Coast provides plenty of opportunity to stop and take in the sights and learn a lot about the country’s beginnings. Ginny Masterson is travel blogger and content contributor for many on-line travel media companies in the US and abroad.